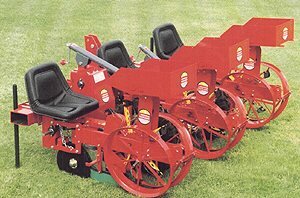 New compact bare root unit with fiberglass seat, plant box, and pockets on a disc. Adjustable pocket system makes this unit excellent for deep setting of perennials and a variety of other plants. Requires OE90 Drive system.